This month I have three pieces of inspiration to show to you, and all quite different. This week I have Prima's En Francais :) If you know me you will know that Prima is one of my favourite brands to work with, so I was pretty pleased when this turned up in my DT kit :) It showcases some of my favourite colours, blue, brown, beige and grey. 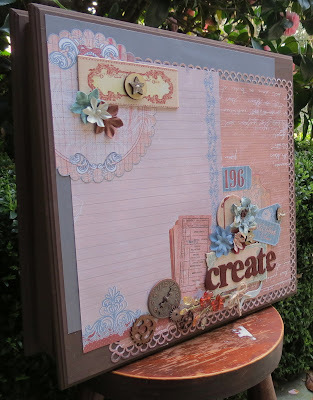 This little beauty, is big enough to hold papers in or whatever else you choose. 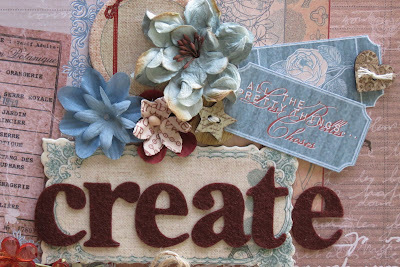 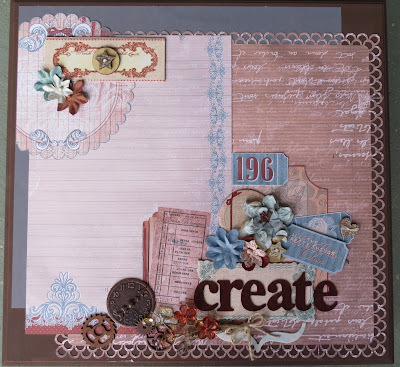 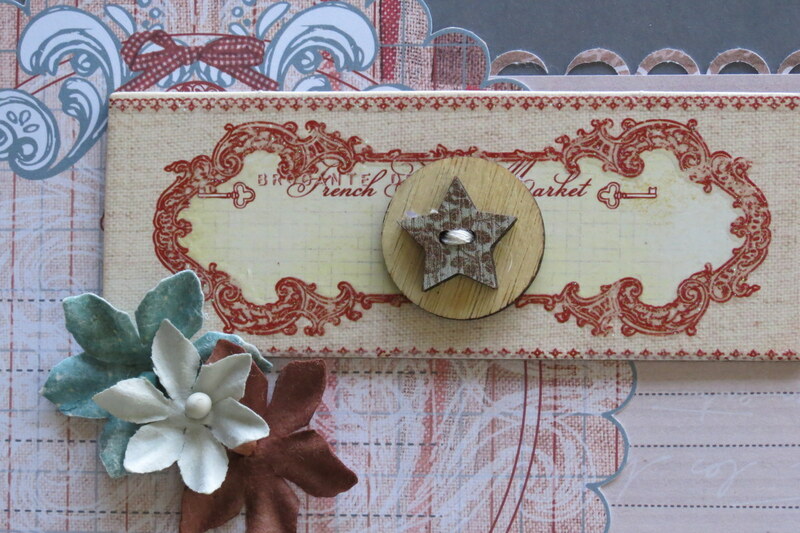 Ive used different pieces from the range and lots of layers; wooden buttons, chipboard, flowers, tickets and papers of course as well as chipboard cogs from my stash and a Martha Stewart Punch. If you're lucky enough to be going to the Spring Retreat this weekend, this will be up for grabs as one of the prizes to be won! Good Luck!